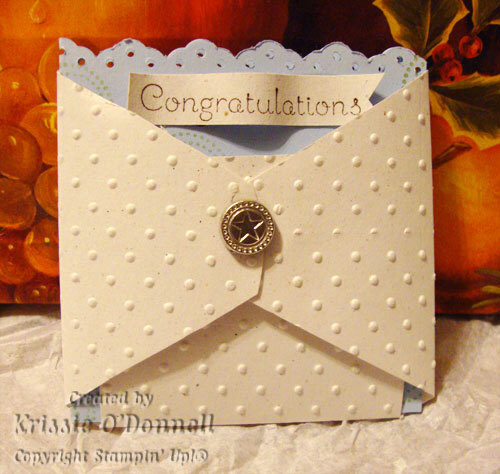 Friend and Co-worker Donna is having a baby in November and for her “Sprinkle” (Shower for her 3rd baby for the bare necessities), I made this adorable diaper card that is inspired by a sample in the Idea Book & Catalog. 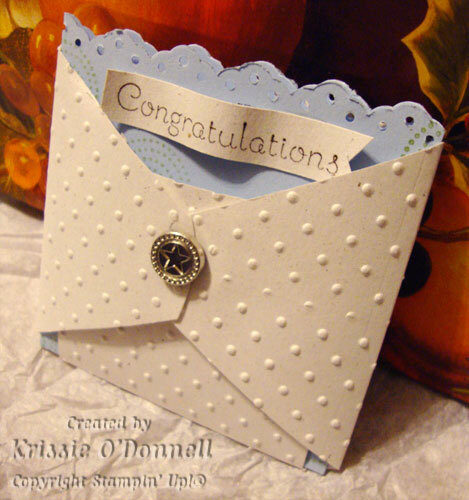 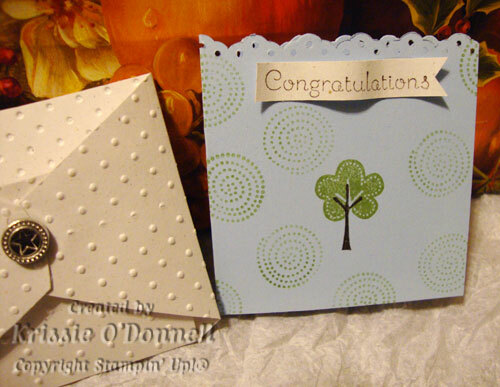 I embossed the diaper shape with the Perfect dots embossing folder and for the card, I used the eyelet punch along the top and made the banner with a stamp from the Hostess Level 3 set Occasional Quotes and decorated the front with the Trendy Trees stamp set. 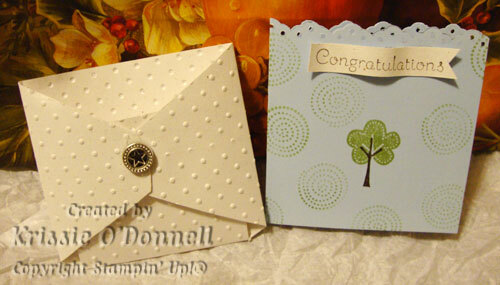 I cinched the diaper closed with at star designer brad (now retired).